A wind farm which opened in this week in West Virginia marks an important milestone in wind energy — the farm is using a battery system to store energy and improve performance. Laurel Mountain wind farm, which consists of 61 turbines spread out over 12 miles, is designed to be more grid friendly, smoothing out the bumps in energy production, which will hopefully allow it to be more profitable. The battery bank is not an exotic new technology, but a string of 1.3 million D and C cell Li-ion batteries which can store a fraction of the farm’s output. The battery technology developed by A123 and implemented by AES Corporation is roughly a mega sized version of the battery packs used in things like cordless tools. The car company Tesla had a similar idea when they produced the Roadster. Rather than waiting on a new battery technology, using existing off-the-shelf products and engineering the systems around the basic lithium ion battery cell is provin to be a very potent way to realize real world systems. One of the great debates on converting to renewable energy is of course the problem of storage. The grid needs a very specific amount of energy at any given time, but the variability of wind makes it more difficult as the total energy produced grows and potentially destabilizes the grid. The 32 MW battery bank can only store about 15 minutes of peak energy from the 98 MW farm, but that is enough to make the power easier to be sold to the energy suppliers market thus adding value. The system can also better match the 60 cycles on the grid, making better use of the wind turbine’s energy when they ramp up or down. 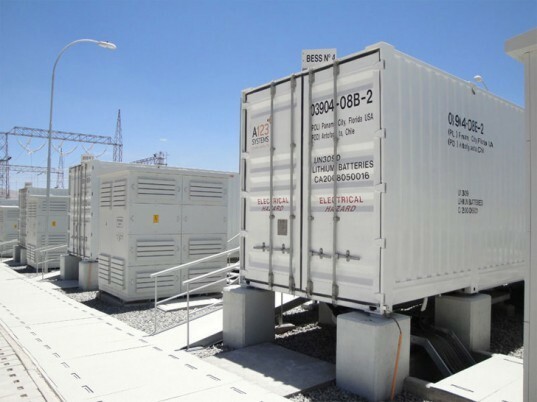 The grid performance of using batteries at scale may even potentially outperform currently technologies like natural gas turbines which are often used to quickly supply electricity. Batteries provide instant power on demand and give either renewable energy or carbon based sources a chance to catch up. 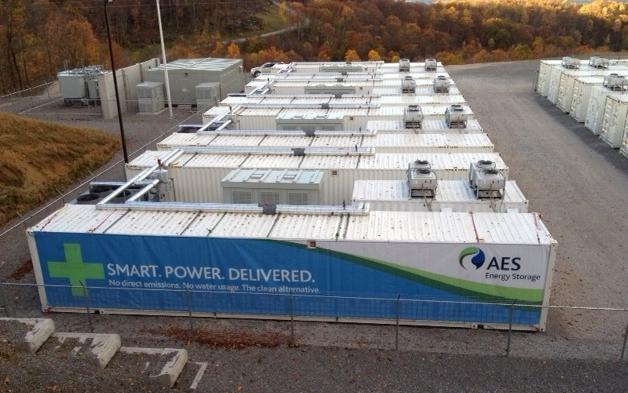 A wind farm which opened in this week in West Virginia marks an important milestone in wind energy -- the farm is using a battery system to store energy and improve performance. Laurel Mountain wind farm, which consists of 61 turbines spread out over 12 miles, is designed to be more grid friendly, smoothing out the bumps in energy production, which will hopefully allow it to be more profitable. The battery bank is not an exotic new technology, but a string of 1.3 million D and C cell Li-ion batteries which can store a fraction of the farm's output.